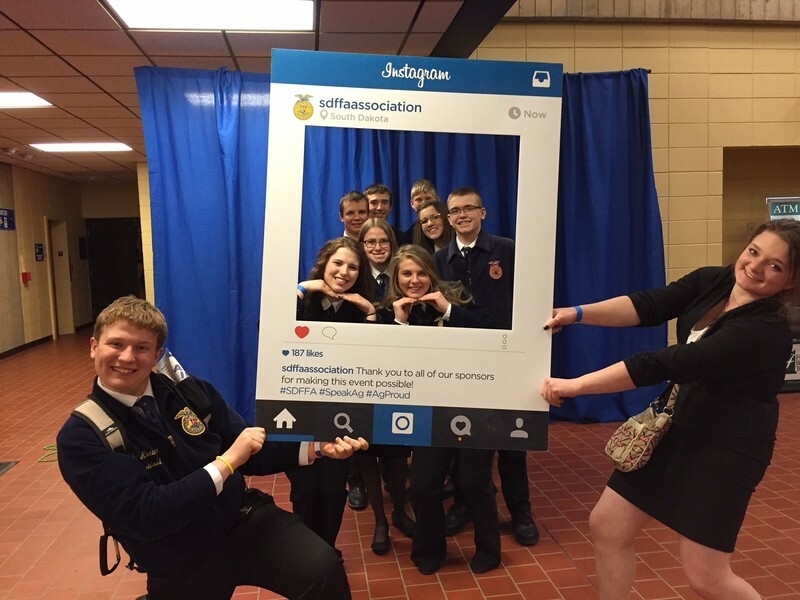 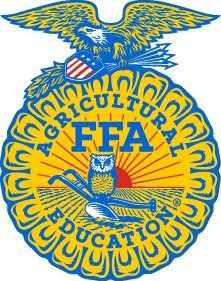 The Newell FFA Chapter attended the 90th State FFA Convention April 15-17 in Brookings South Dakota. 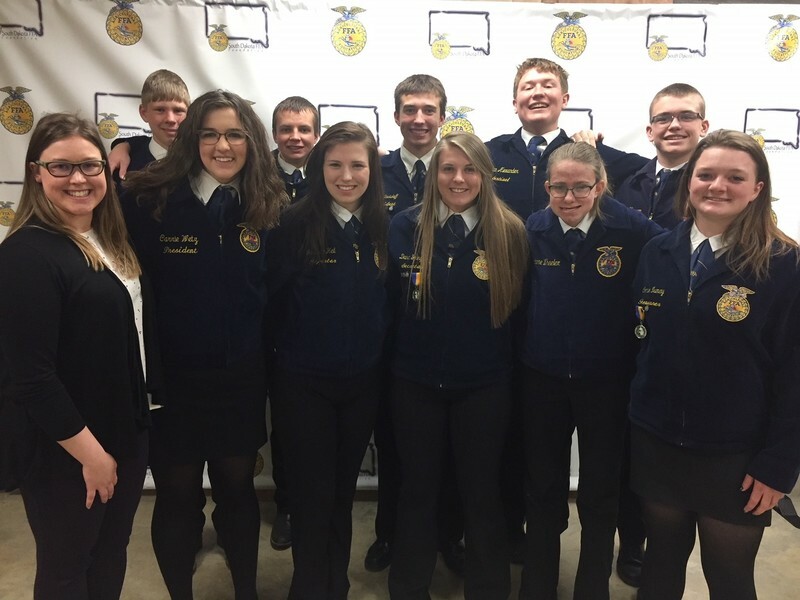 It was a successful convention with Livestock and Ag Mechanics competing as well as the Quiz Bowl team competing. 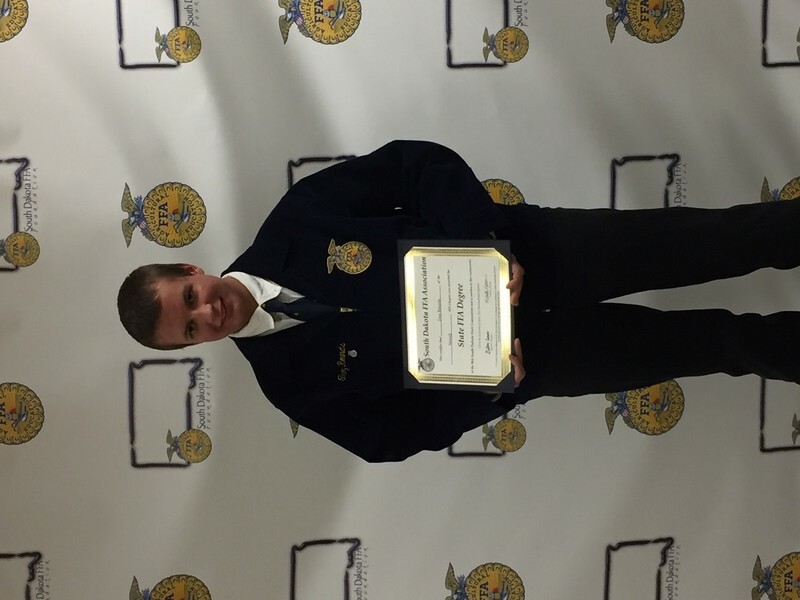 Troy Rounds was one of the 277 members who received their State FFA Degree, the highest degree you can receive at the state level. 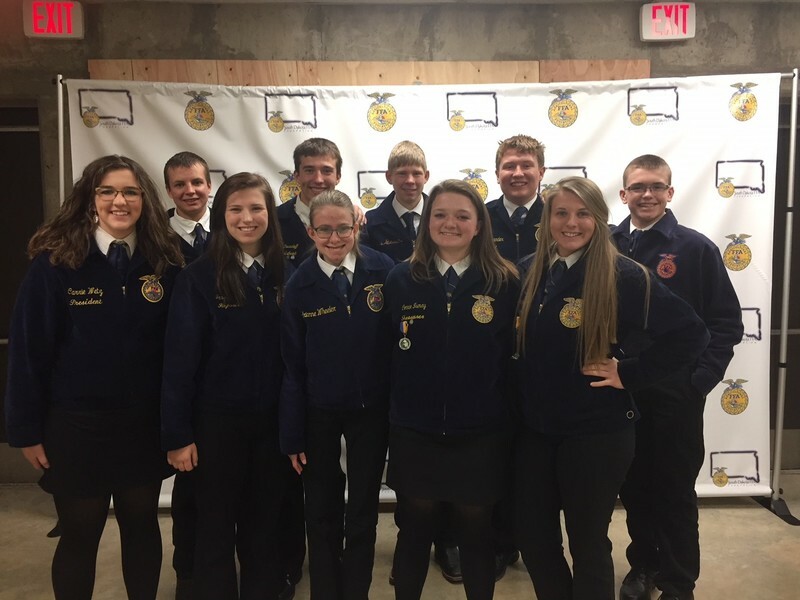 The chapter attended all three sessions and listened to keynote speakers, including Jackson Harris-a member of the 2013 National Officer Team and Gracie Furnish, the current Eastern Region Vice President. 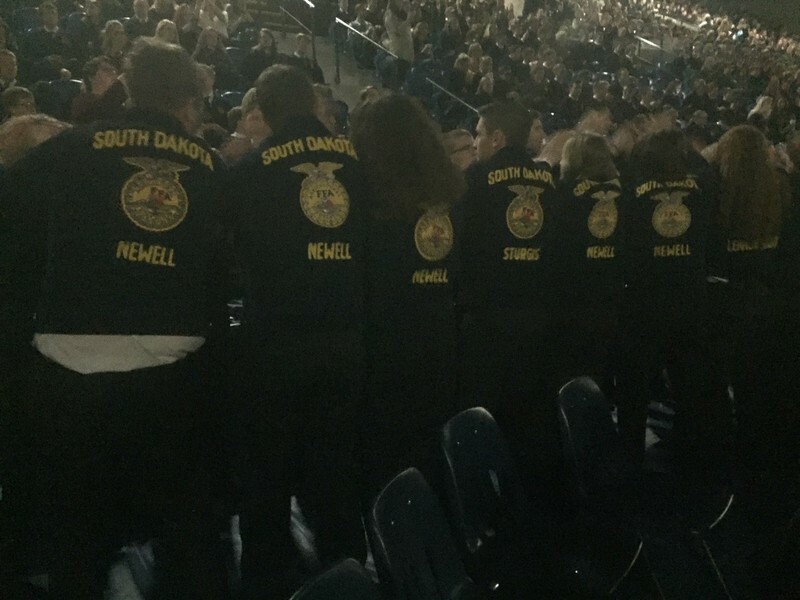 They watched the current state officer team give retiring addresses, and watched the new team be installed. 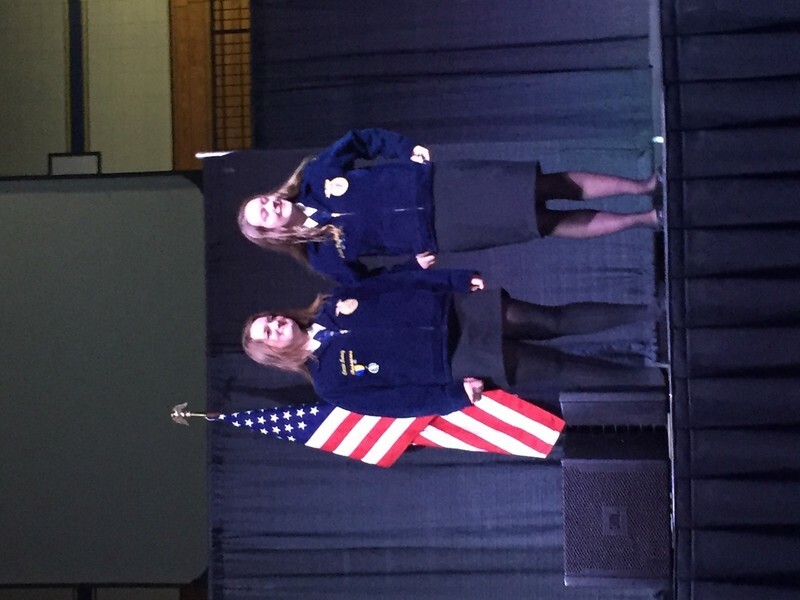 The chapter also got to see one of their own become elected one of the 2018-2019 State FFA Ambassadors. 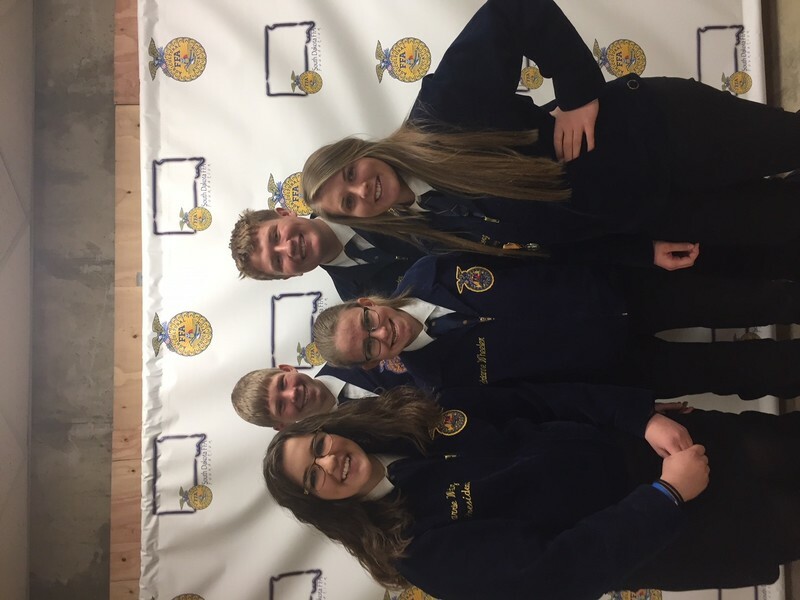 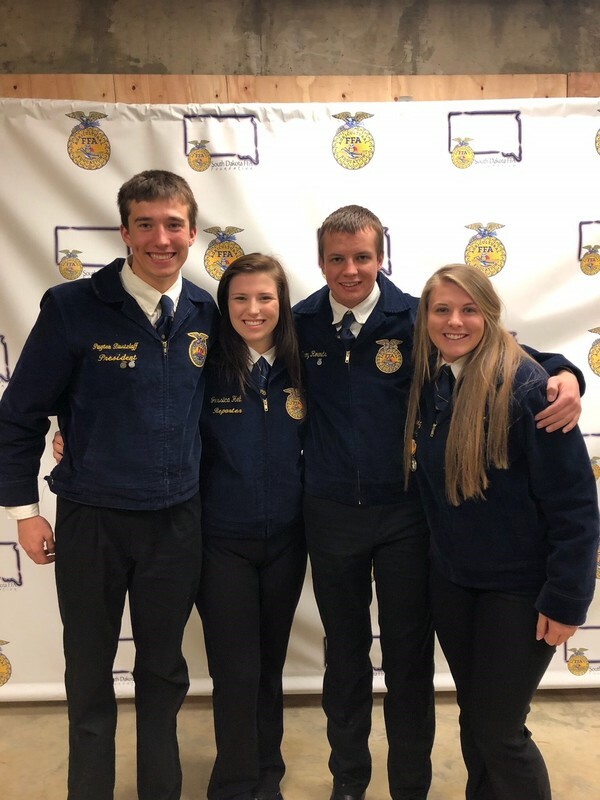 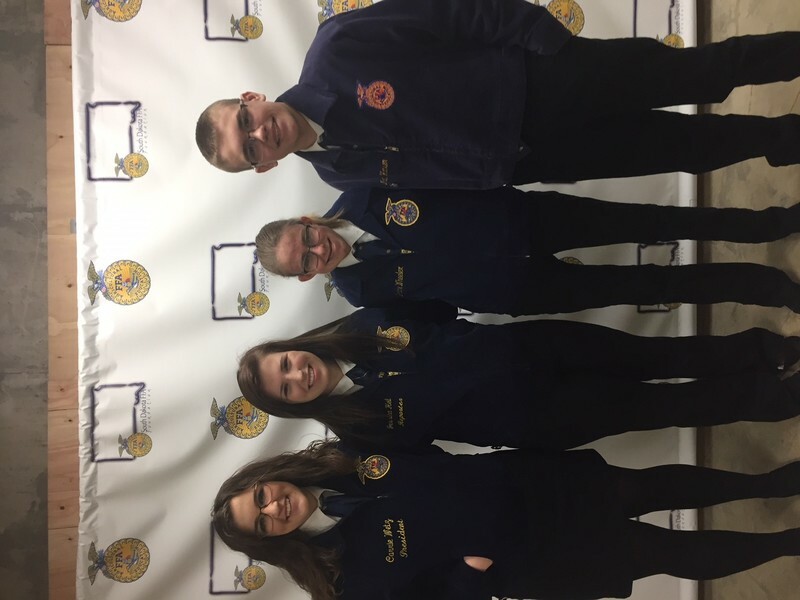 Connie Ismay interviewed on Sunday and found out on Tuesday that she would help serve the 2018-2019 State FFA Officers as an ambassador. 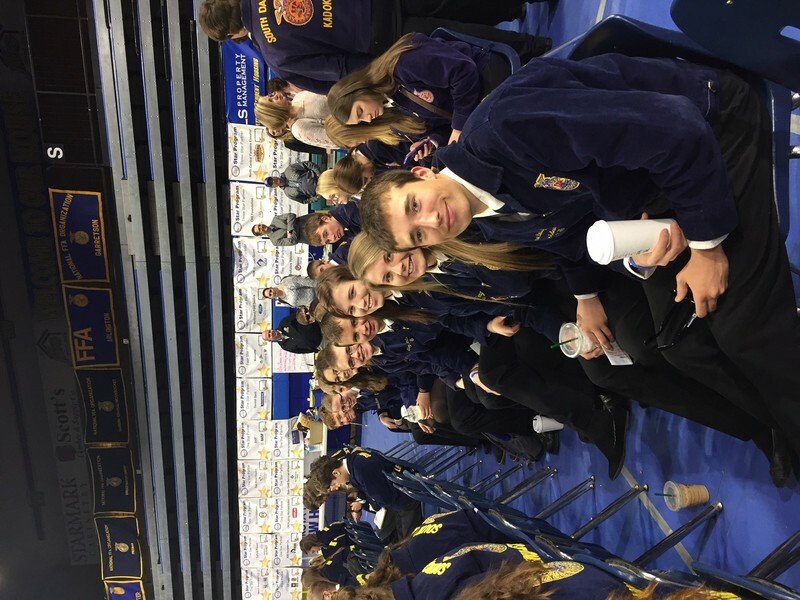 Congratulations to all the Newell FFA members who attended state convention.